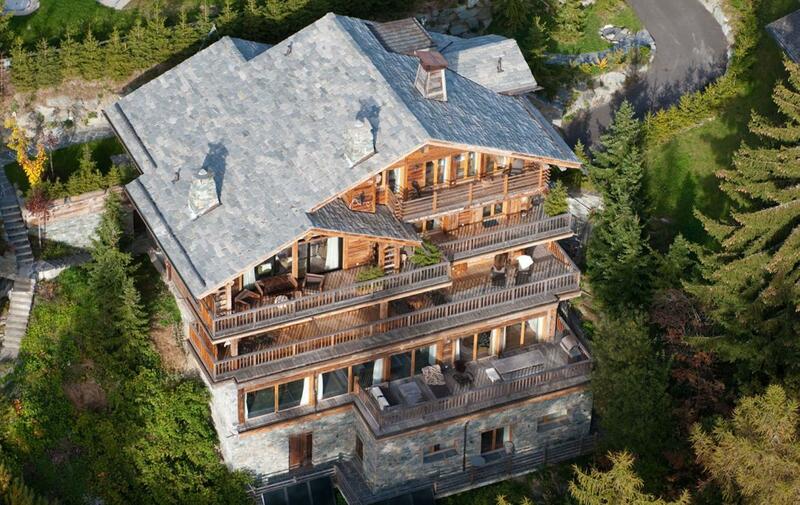 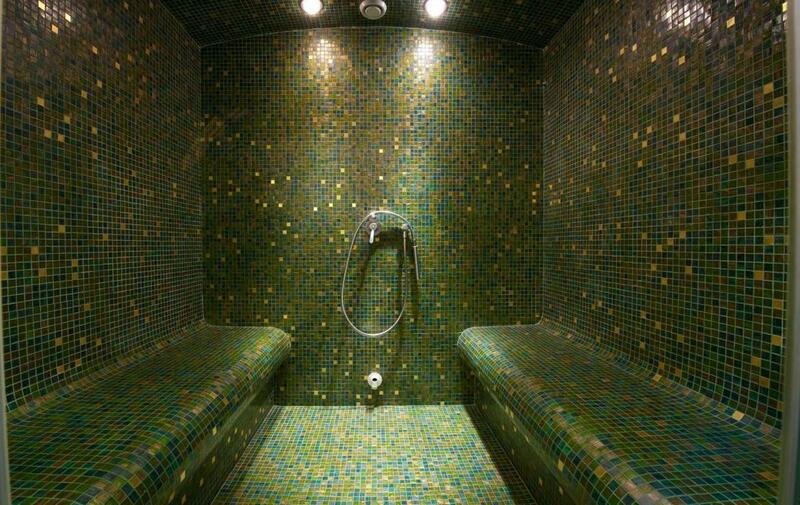 The resort of Verbier is renowned for its incredible edifices. 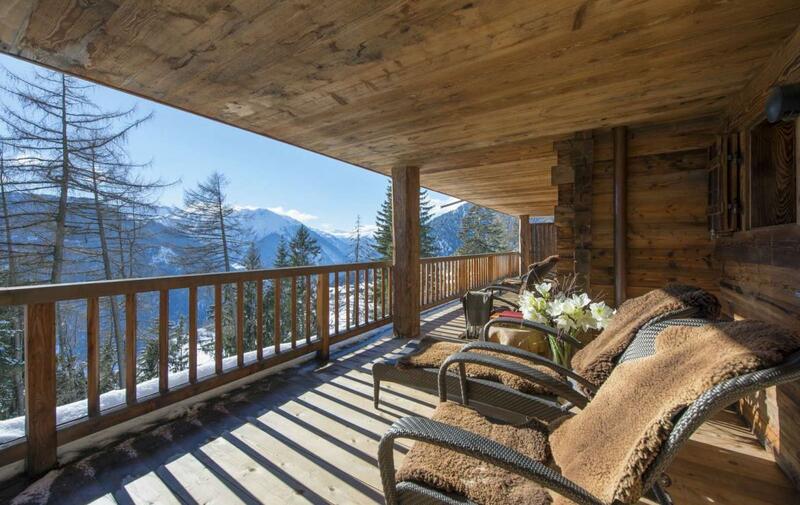 This stunning Chalet stands proudly in the centre of the village, an established presence among the region’s many spellbinding offerings. 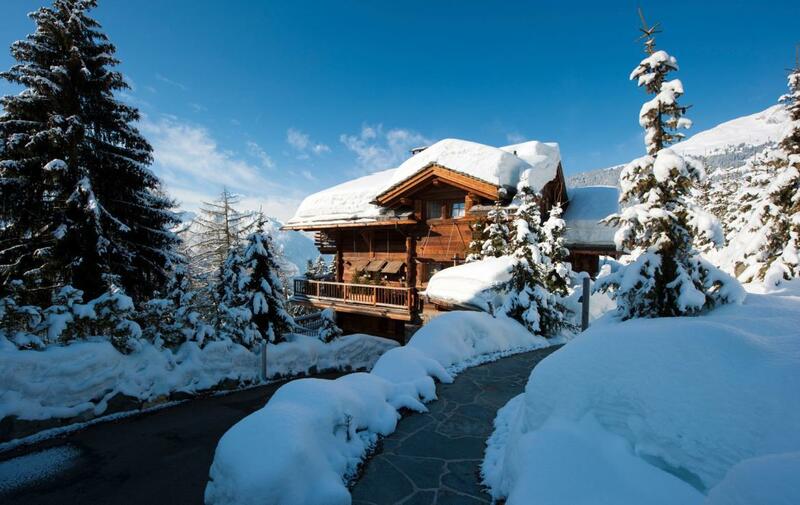 Central to the resort but preserving its exclusivity; this enchanting chalet presents the most opulent of abodes, balancing extravagance with tradition. 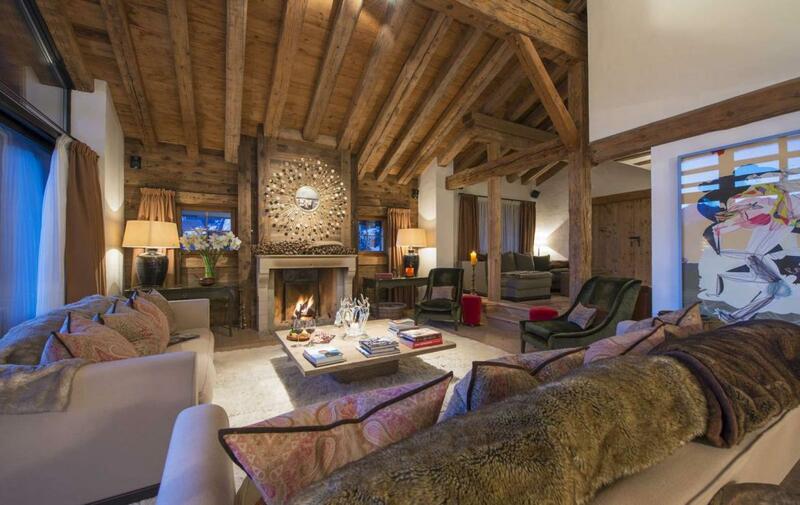 Intricate wooden structures reflect the refined vernacular of the town; elegant interior design ensures no luxury is lost; while state-of-the-art amenities place this chalet steadfastly at the top of the most sought-after retreats. 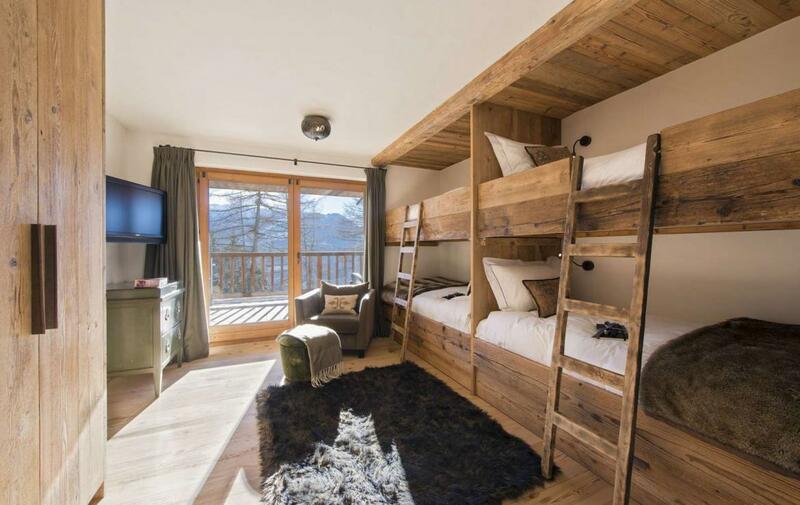 Sleeping 12 adults and two children – or a variety of setups – there is no chance of disappointment in choosing this extravagant sanctuary. 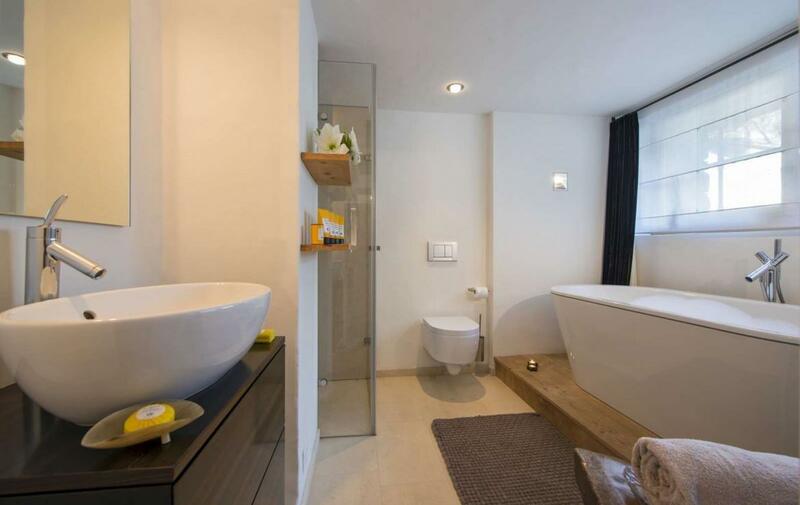 Completed in 2009, the residence is a showcase of contemporary style as elaborate artworks adorn the walls while progressive design harmonises the traditional with the novel. 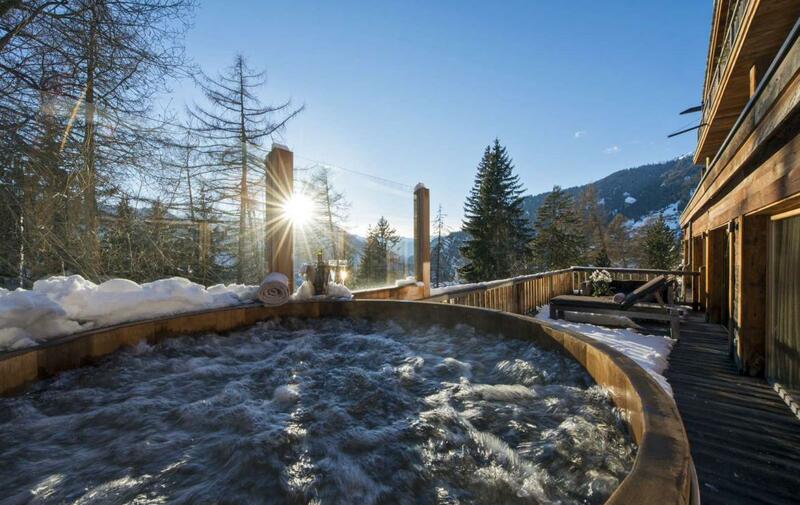 Expect senses to come alive in this masterpiece of the mountains: be it in the outdoor hot tub, at the hands of the masseur, or as you allow the fresh mountain air to cleanse the soul while you draw in endless mountain panoramas. 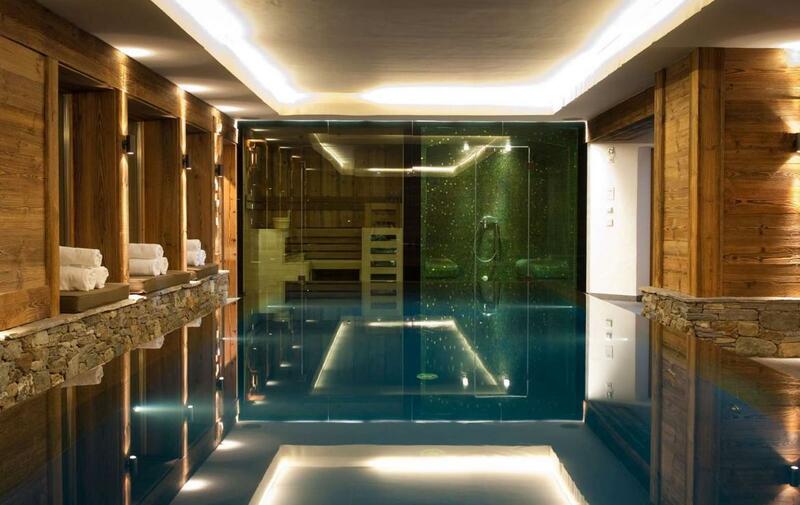 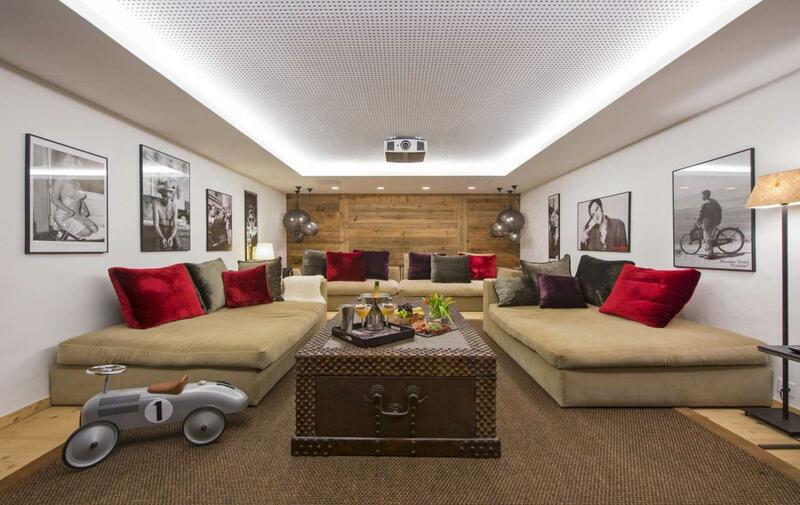 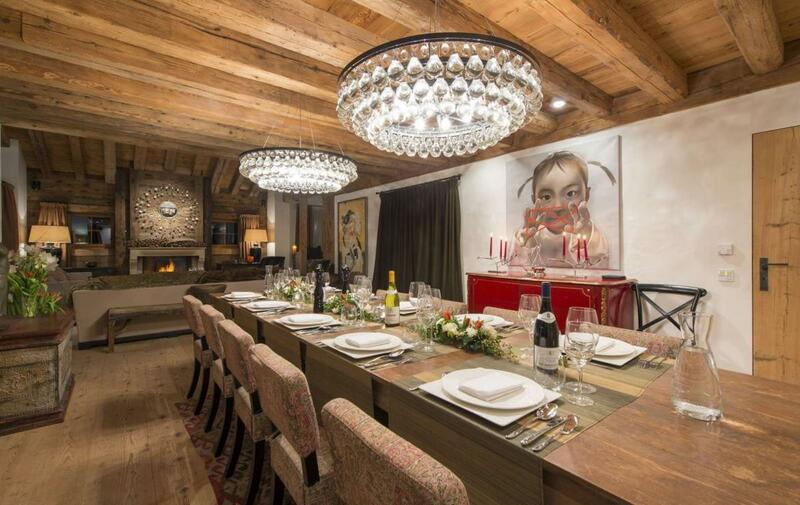 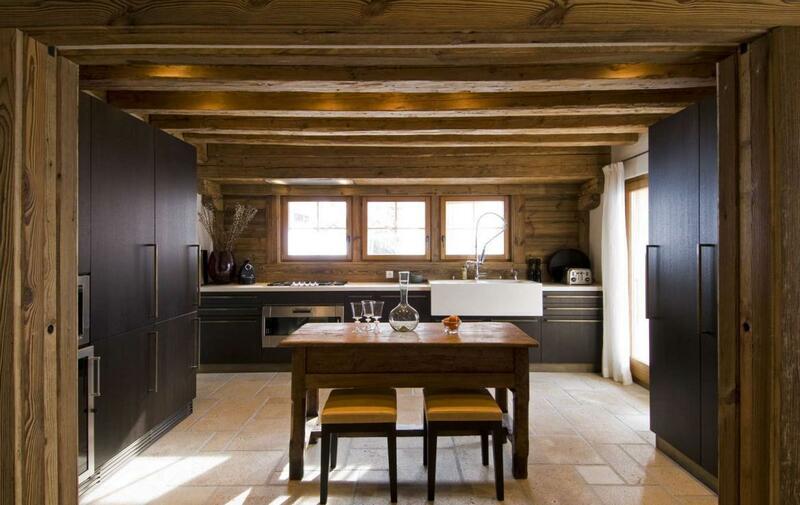 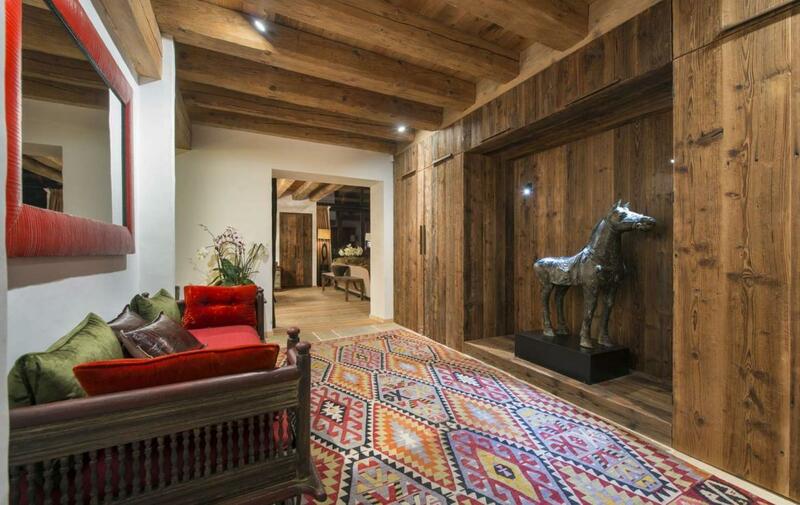 Few chalets can match the exuberance of this beautiful and special chalet in Verbier. 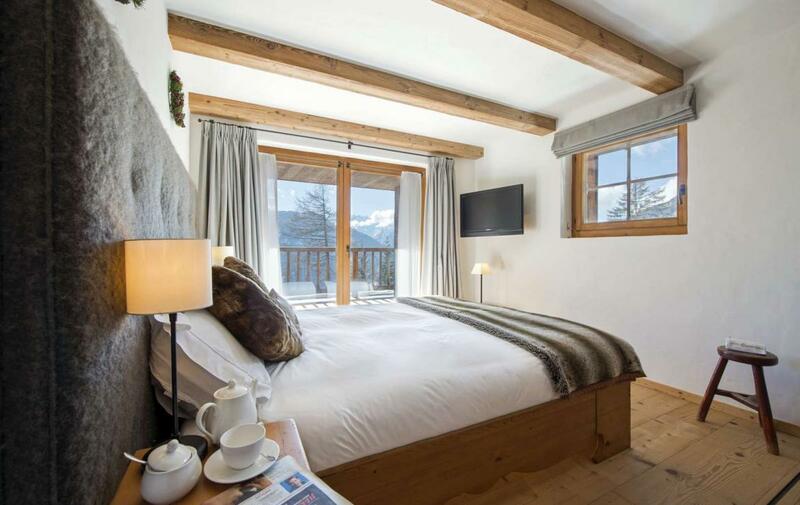 The chalet lies just a heartbeat from Verbier’s alluring centre, yet its breath-taking mountain views through the verdant trees could place you in your very own, private resort. 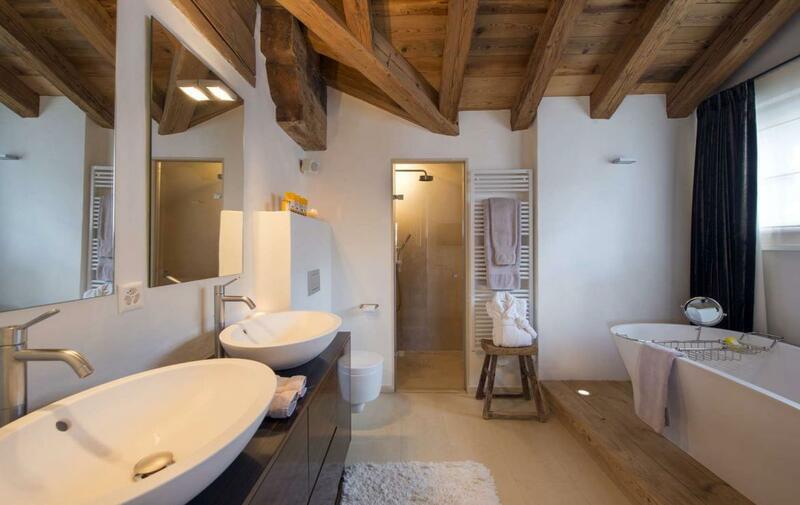 Thanks to its considered blend of traditional materials and creative features, this is an Alice and Wonderland-adventure befitting the Alps’ most exquisite backdrop. 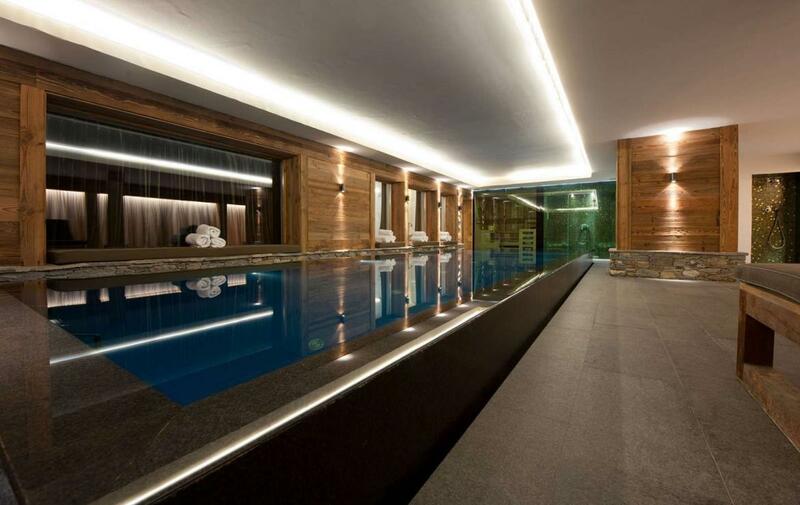 At ground level, indulge in a private spa, or lounge in cinematic glory in front of a vast movie screen. 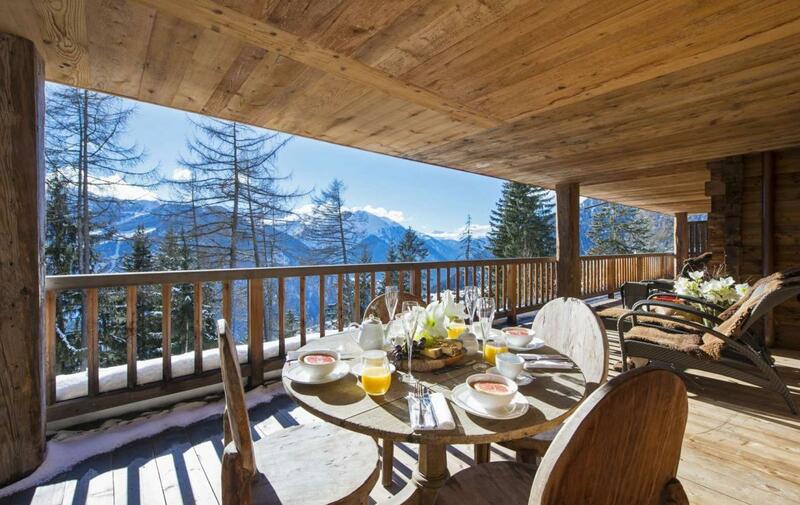 Then, swim a few lengths in the heated pool, or allow the jaw to drop as panoramic views are bound to melt the heart to the tune of the chalet’s built-in sound system. 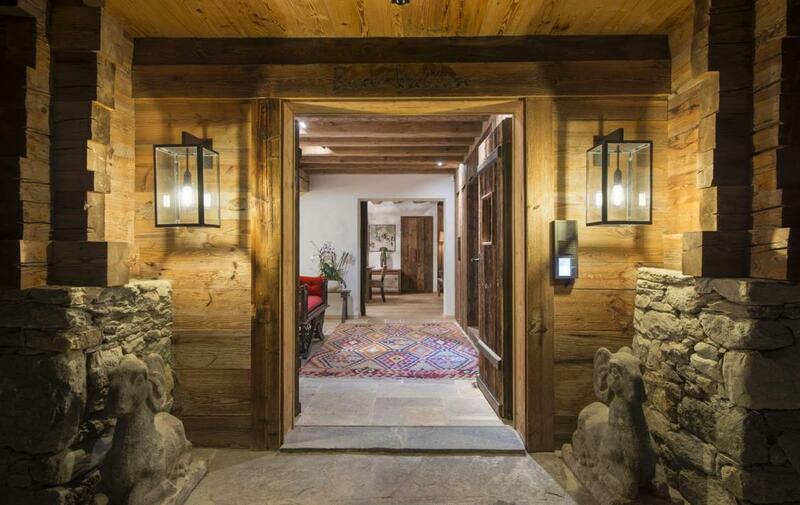 Nestled beneath the living quarters, hide wonderfully reclusive abodes. 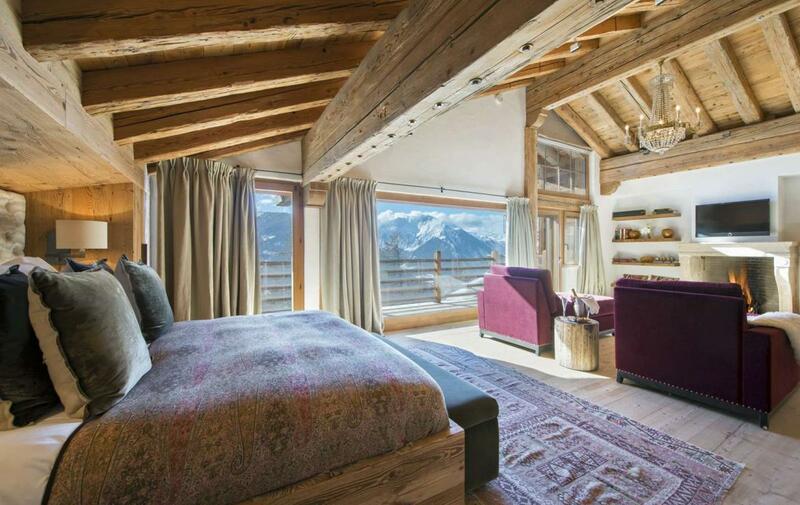 Two divine double bedrooms with lavish en-suites – as well as a twin-room and children’s bunk – mean families are beautifully catered for in this sublime space. 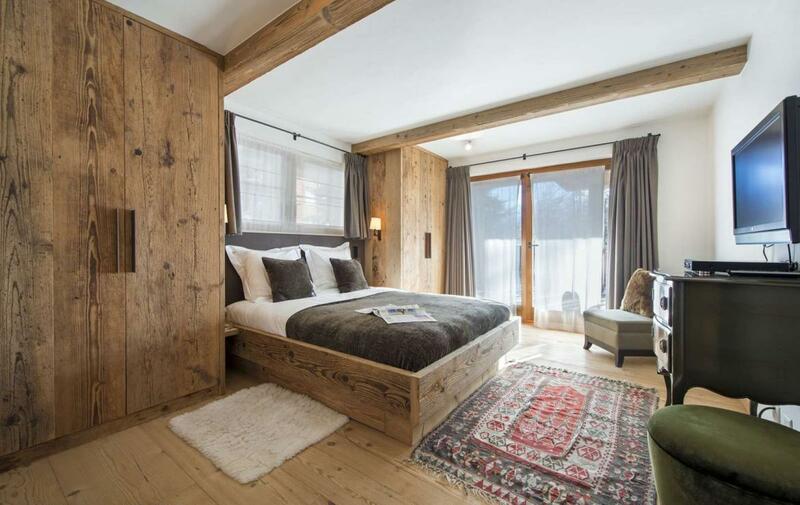 Step from the bedroom into ski room and prepare for days on the piste; heated boots will soothe weary feet in preparation for endless days of carving, mountainside. 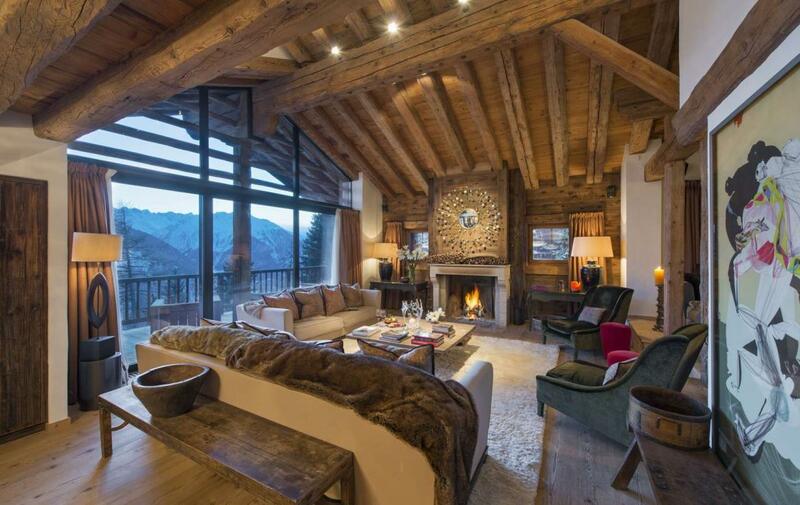 Step from the bustle of the outdoors into the sublime second floor of Chalet Dent Blanche – the beating heart of this heavenly dwelling. 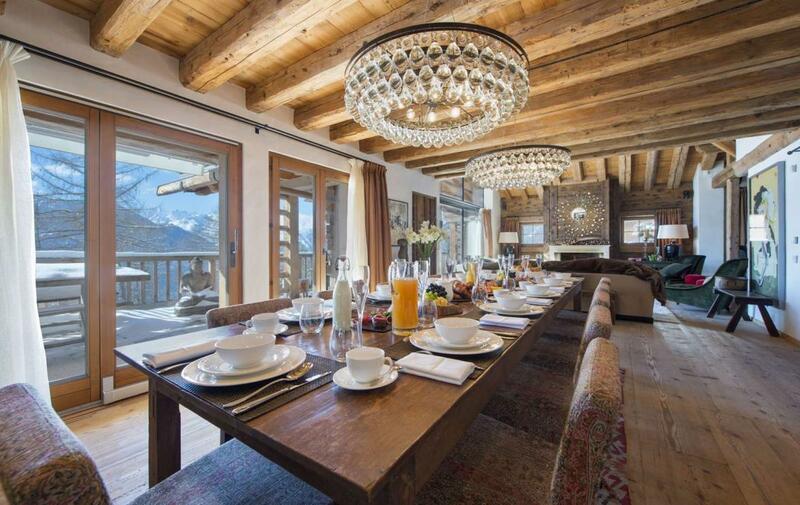 Relish idle afternoons of rest on far-reaching soft-furnishings, await culinary delights at the head of the dining table, or enquire as to progress in the professionally-equipped kitchen – all-the-while sipping on a glass of uber-chilled champagne. 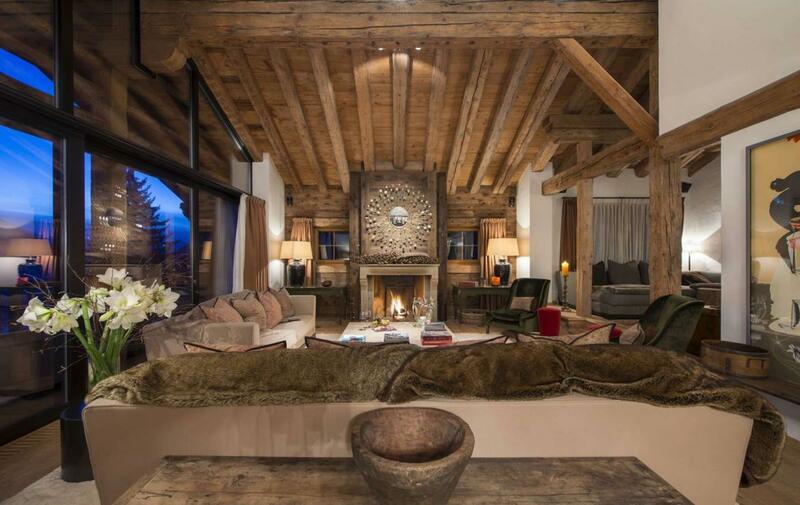 The impressive fireplace sets the scene for a pre-dinner aperitif; whims and desires are there to be fulfilled. 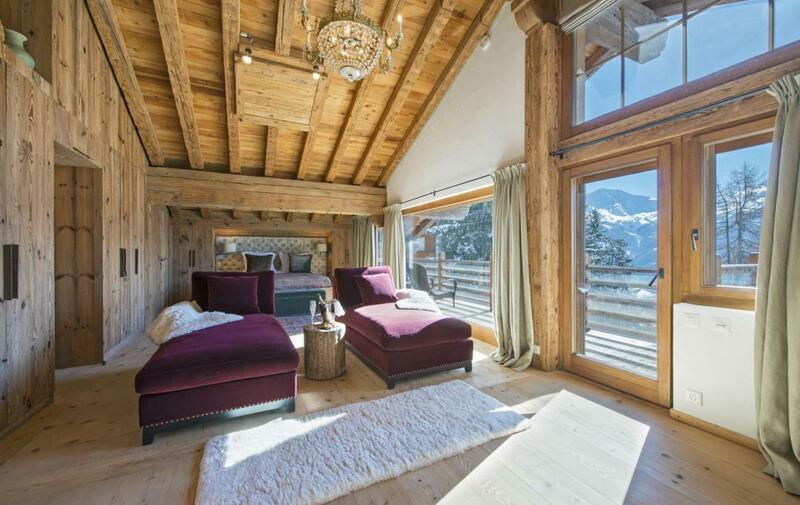 Boasting pride of place at the top of the chalet hides the mercurial master bedroom alongside its private en-suite. 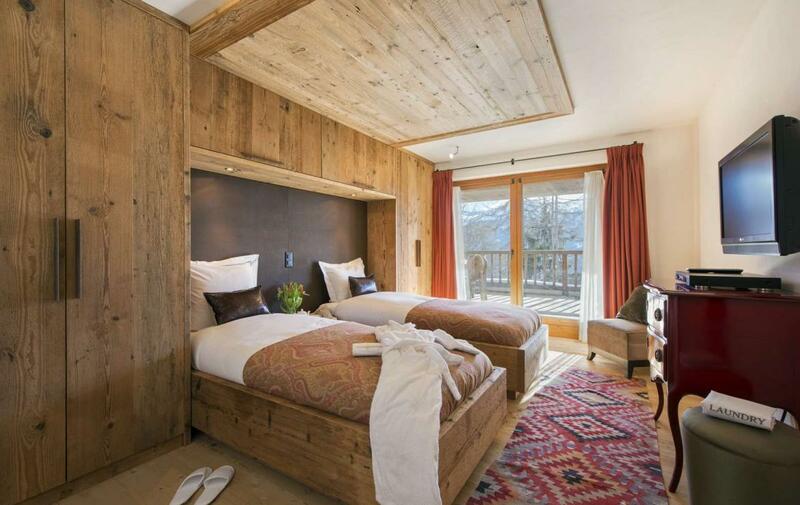 A twin room – in which guests have queen-sized double beds – also enjoys the fortune of this heady setting. 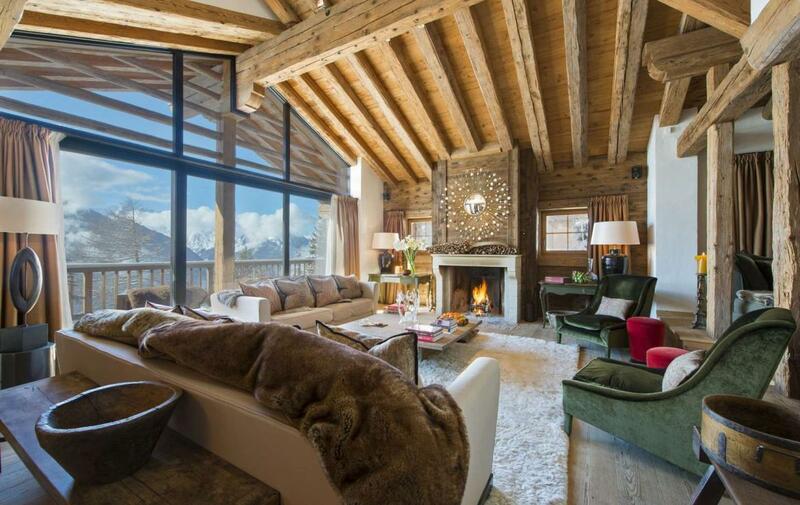 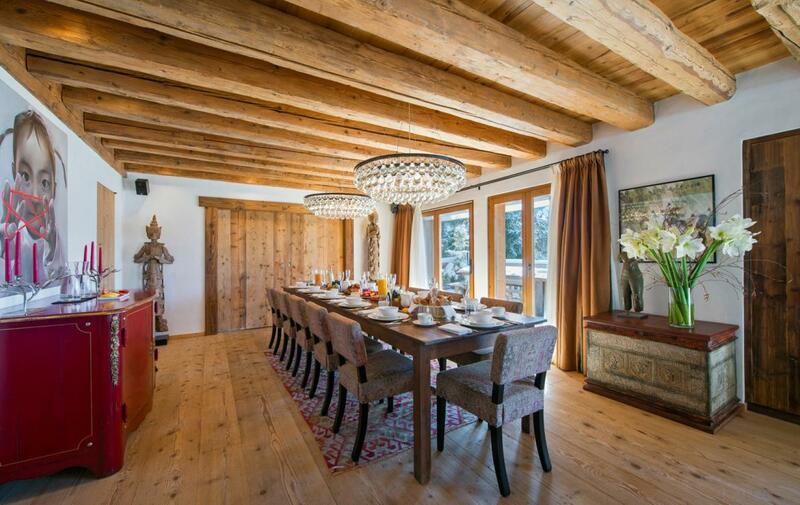 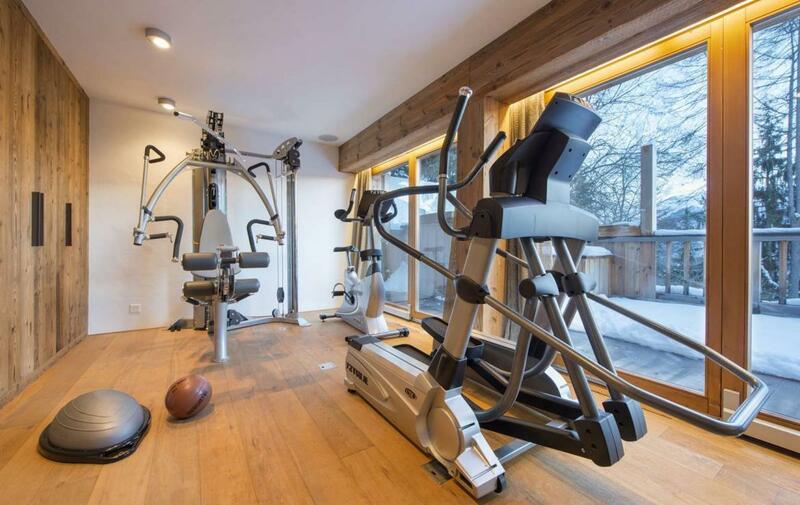 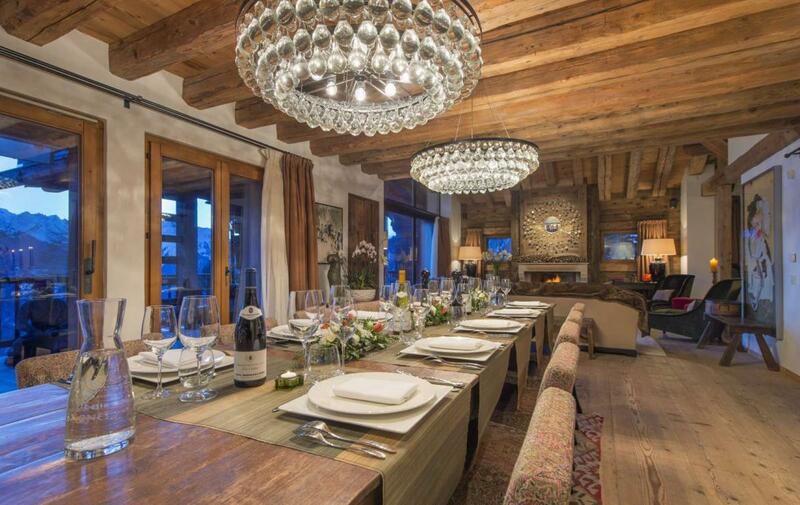 No stone is left unturned in this incredible chalet, as friends and families alike enjoy comfort from all angles. 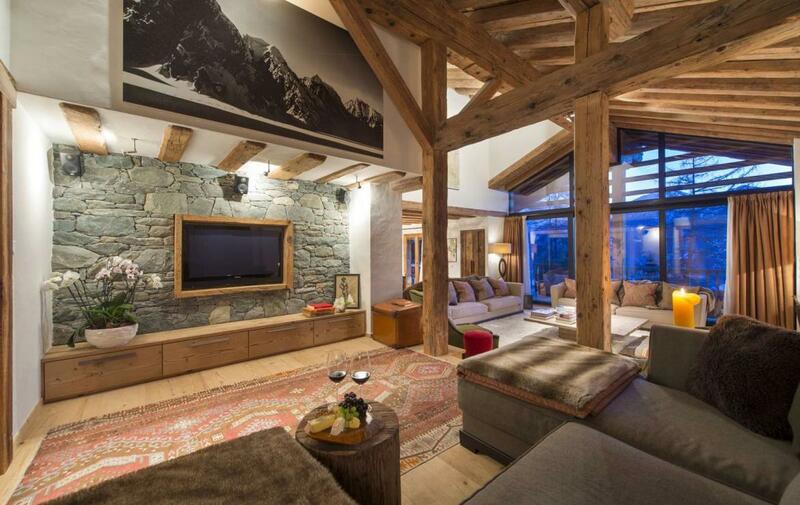 Please contact us to receive a full digital brochure of this stunning chalet.